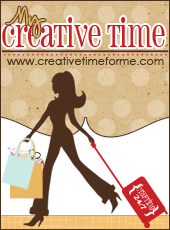 Welcome to My Creative Time's "Farewell Blog Hop"! We are doing this Hop to HONOR and send off our "Current Design Team" in a fun way. Since all of us have become friends, we are doing our LAST blog hop together making it a "Friendship" theme. I hope all of "YOU" thoroughly enjoyed this team as much as we did! Since, this is a special day, there will be a giveaway at EACH STOP! Yep, that means we are having a total of 19 giveaways! All you have to do is leave your comments and a way to contact you in case you are a winner, in order to qualify! Emma will announce all the winners on Monday, 12/23/2013 on her blog! I know the theme was "Friendship", but I did make this "Holly"day Gift Bag for a Special Friend. I wish I could give you a sneak peek of what's inside, but I know she looks at my blog. So, in a way this project is still "Friendship" themed. 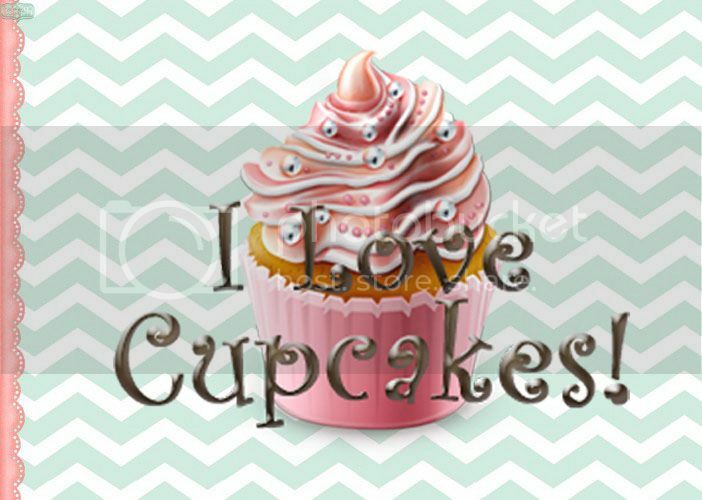 I decided to keep the background cardstock simple. I really wanted the Hexy background to stand out instead of adding a lot of embellishment to the bag. I love adding ribbon to most of my projects and what better way to add a simple bow to this mini bag. The Holly center is a magnet that can be removed and later on added or used on something else. The bow and Holly magnet were adhered with a glue gun. The Hexy Background and tag layers were raised with large foam dots. All the Cardstock layers were distressed on the edges with fluid chalk inks (Red and Chocolate Brown). I also added some stardust stickles to the Hexies. Thank you so much for joining me for my Last My Creative Time blog post. Please continue to enjoy the rest of the Design Team Projects for this Blog Hop. Your next stop is Ruthie's Blog, September Ninth. Your gift bag is SOOOO SUPER SWEET my friend, I LOVE IT! 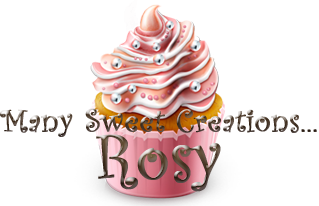 I SOOO ENJOYED ALLL of your sweet creations Miss Rosy. THANK YOU for EVERYTHING! LOVE YA! Your bag is Amazing!! I love how you used the hexy background, I never would have thought of using it that way! Your friend will for sure love it! Thank you for sharing your creations with us!! Luv this gift bag and tag doll, so kreative!!! 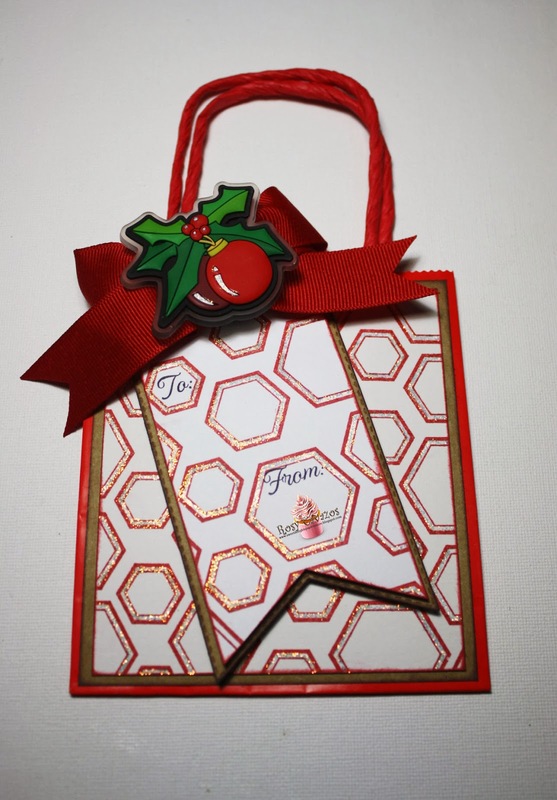 This is a super cute gift tag and bag Rosy! Oh my I am so going to miss this DT. You ladies are so awesome and so talented. Love your bag, it is beautiful. 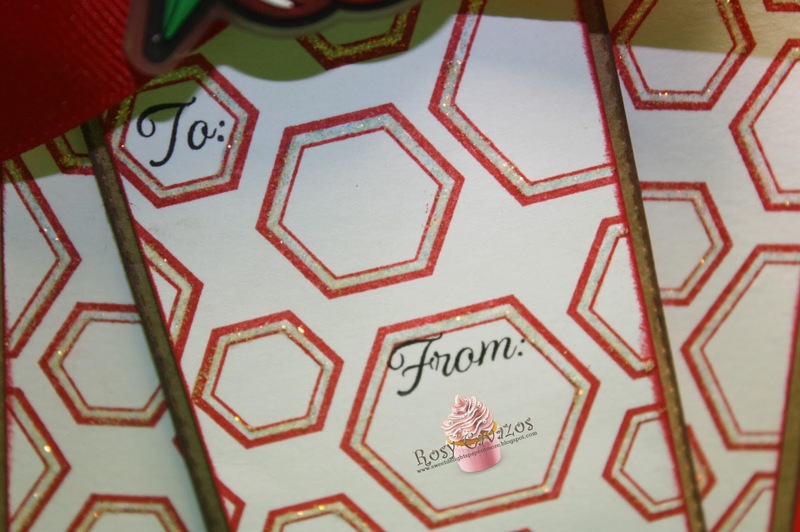 Love the Hexy background stamp used as a background with a coordinating tag on top. love your bag and tag! great way to use the stamp!! Merrry Christmas! so cute! love how you used the stamps to showcase them! thanks for the inspiration! Love both the tag and bag!!! So cute:) Thank you so much for sharing your creativity!! Great job! How can you go wrong with Miss Emma's stamps. She makes it fun to make something doesn't she! What a beautiful bag for your friend!! I love the technique you used on the hexy background! Wow, how cute is this bag! I am sure your friend will love it! It is so festive and absolutely adorable! Don't you just love gift bags and you know what they say about small packages. The matching tag is the perfect touch. Thanks for sharing. Super cute bag and tag, TFS! I can't begin to imagine how emotional and difficult it is to say 'farewell' to this team. You are all, truly, a closely knit group of friends, and we've been honoured to share a part of that friendship with you. The creativity you've shared and inspiration you've sparked this year has been nothing short of stellar! Your gift bag: classy and stunning, as always!! All the best in whatever directions your new paths take you - and I'll be here, visiting, to see more of your delights! What a cute bag and tag! I've thoroughly enjoyed seeing how you display and create with Emma's products, both new and older. I'll miss this wonderful DT of Emma's. The best of luck to you in the future. Your gift bag is beautiful and so is your tag. You just have always created so many unbelievable things and I've enjoyed it all. Your friend is going to so love her gift bag. Thanks for the chance for an awesome stamp set. I have my fingers crossed. Great little bag Miss Rosy..your friend will love it! Thanks for a great time on the MCT Design Team. I wish you all the best in your future. Hang in there with all of your family stuff...they are so lucky to have you!!!! hugs! Gorgeous design...you always inspire me with your creations! Merry Christmas! Super cute gift bag! Thanks for always sharing your projects, I've enjoyed your blog and will continue to follow. Merry Christmas and Happy New Year! Super cute bag and tag, love the background. Have a Merry Christmas and Happy New Year. Just darling! What a sweet little bag and tag!!! Great gift bag and I'm sure the contents will make someone very happy. Thank you for sharing your talent! This is such a cute small bag!!! Beautiful little bag, Rosy. Happy, healthy holidays to you and yours. Great Christmas Bag, thanks for sharing and thanks for all the creations you shared this year. I love the stardust on the hexies ... gives it a holiday sparkle. What an elegant love the color and the bow great job! Super FAB project! I just LOVE this!! Rosy ~ I LOVE this tag and bag combo! OMG! It is seriously PERFFECT!!! WOW! BEAUTIFULLY done as always and oh my that tissue paper too! Well you are one friend who has been thru so much this past year or so and I am so sorry for all that! You & your family will be forever in my heart and we wont loose touch! I know we both have been rather busy so Merry Christmas and I so hope for a calm, happy, healthy and prosperous new year! HUGS to you and luv ya! I love your bag. Your friend is really going to love it. Thanks for sharing all your projects and inspiration this year. Great use of the hex bg. Very pretty gift bag!! 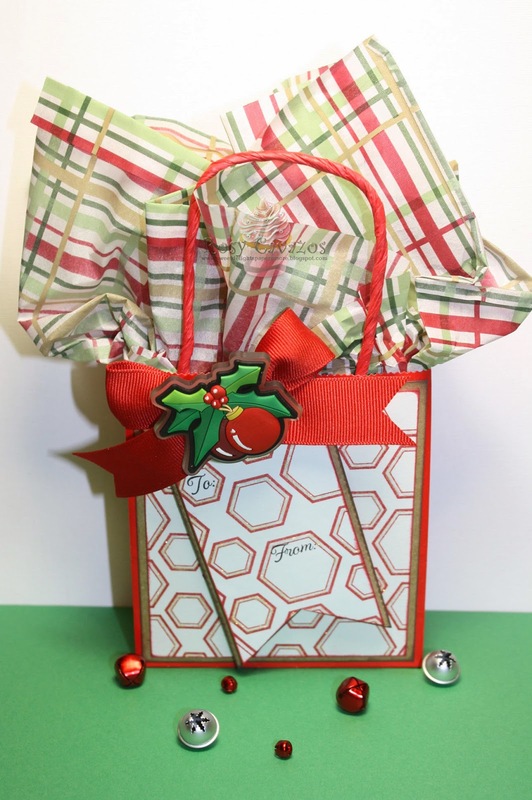 Very cute gift bag--I like how you used the hexy background stamp. Cute bag--your friend will be very happy when she receives it. Adorable bag for your friend. I always enjoy all of the inspiration you provide, best wishes to you in the upcoming year. Great gift bag. Love how you used the hexie stamp to create the bag. Thanks for all your wonderful inspiration. Very elegant! I love it! Thank you for sharing all your creations while serving on the DT! Your friend will love her gift...this is so beautiful and I like the magnet. I have been enjoying your work and look forward to seeing your work in new places in 2014. Great job. Cute gift bag! Love the background you made with the hexies! How adorable, Rosy! It's been great being on this team with you! Merry Christmas! 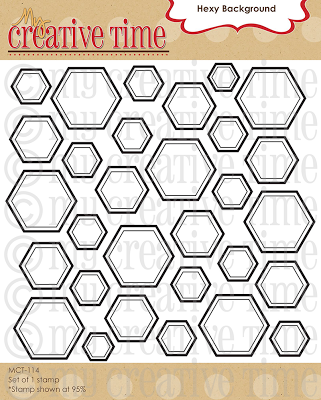 What a clever way to use the hexagon background d stamp. What an adorable gift bag and tag set!!! I love how they coordinate together. They look so cute as a set. tfs.....Dianne....mickeypal2@msn.com. beautiful bag and tag, Rosy! when you give a gift, I bet your friends love the wrapping as much as what's inside! merry Christmas! Your tag and bad set is beautiful! Love that hex stamp. Very pretty. It's been very nice serving with you on this dt, you have great talent! But, no goodbyes, just see you later! cute cute bag! love the bow! thanks for sharing all of your talents with us! so much inspirations! MERRY CHRISTMAS and a HAPPY NEW YEAR!! thanks so much for all you do! Very cute bag!! Merry Christmas and Happy New Year!! Fun gift bag. Thanks for all the fun projects and Merry Christmas. Such a Gorgeous tag and matching gift bag!! You are so clever! Hadn't thought of that cute hexagon stamp! Another fabulous creation Rosy! I wish you the very best for the upcoming year and in whatever endeavors you might take in the future. Thank you for all you have shared with us! Thanks so much for visiting my Blog. Since starting in July of 2010, I have enjoyed creating, sharing, and making new friends in the Cyber World. I never imagined the talent and warmth so many of you out there would bring into my life! Have a Blessed Day and make each and everyday count!